Figuring out catering costs beforehand will definitely save you a lot of time. 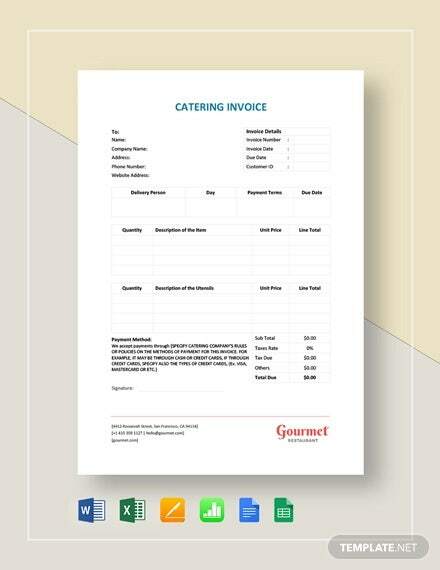 All the more with ideal catering invoice templates that provide a ready-made catering invoice format for your plans and services. 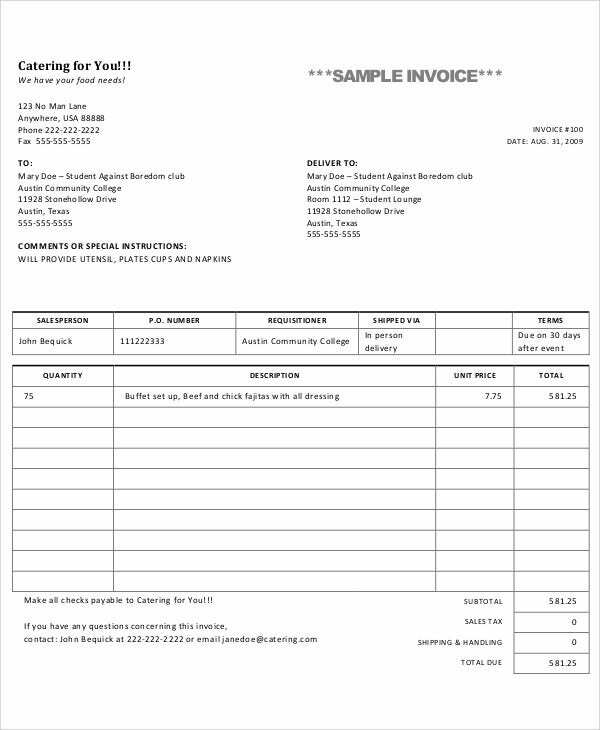 Invoice writing could be complicated at times since there are instances when a menu gets a bit longer and the invoice samples gets more complicated as well. 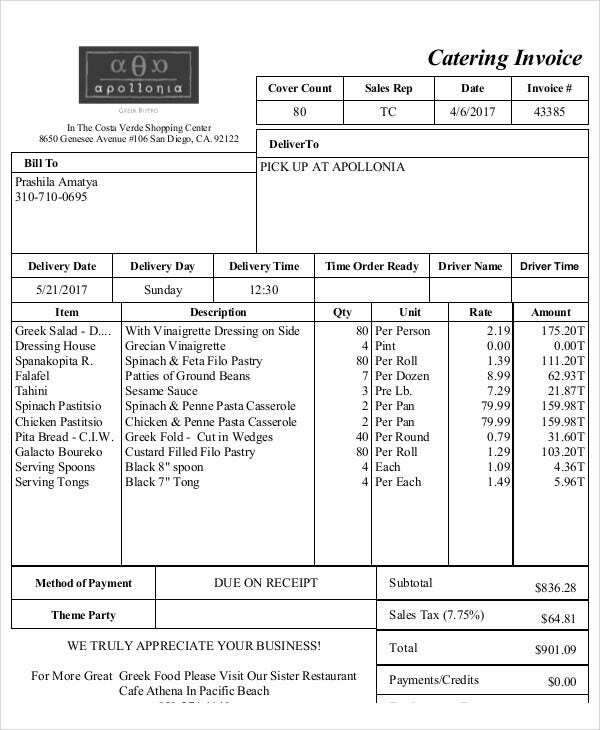 Invoice payments for catering should see to it that each food on the menu accurately corresponds to a price list and other menu specifications. All items should be properly managed by catering service contractors and anyone who’d wish for a catering service grant. 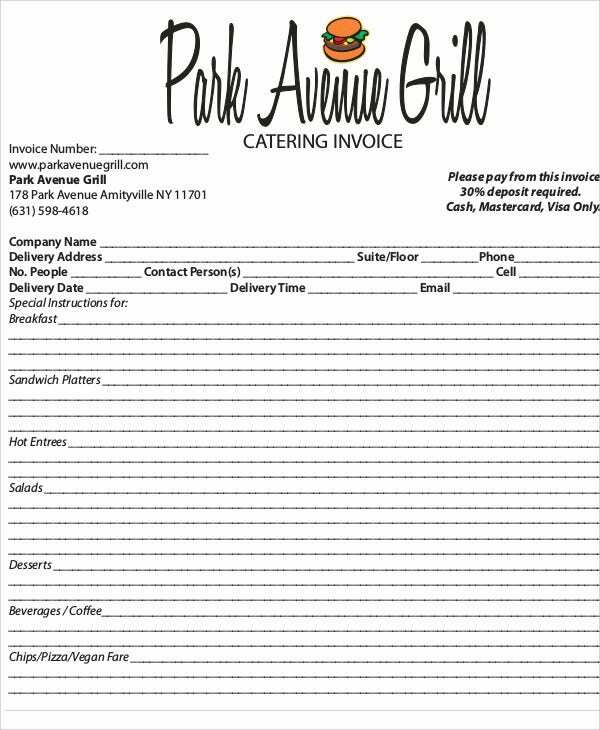 Different catering services create different invoices appropriate for the type of service they render and the menu they provide. 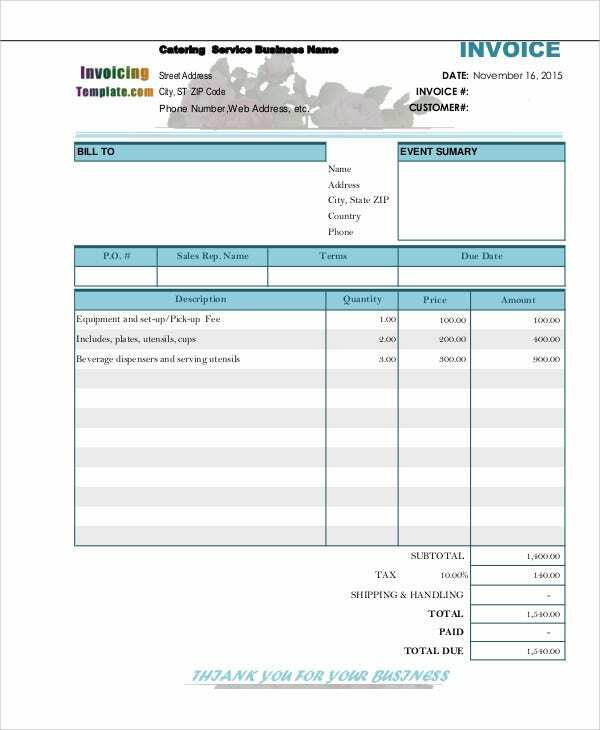 A format for a catering invoice varies and format on blank invoice templates could attest to that. 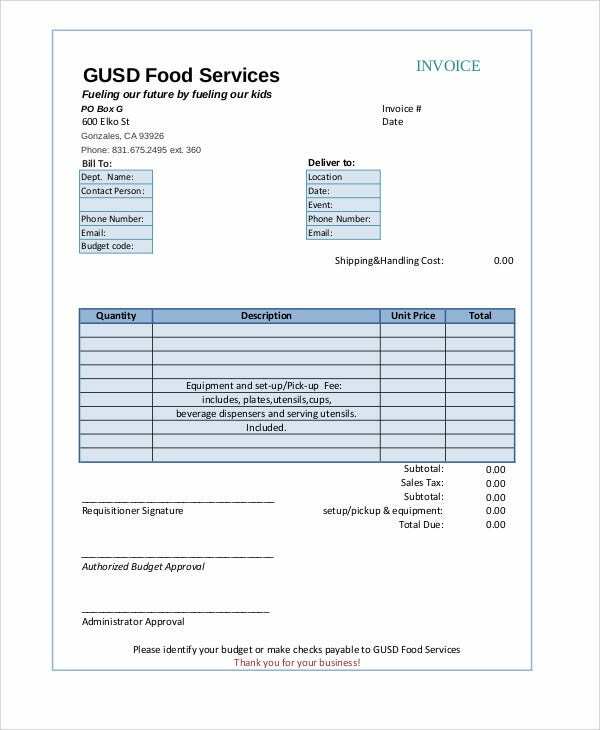 Catering Service Identification – An invoice is easily identified with the caterer’s information details. Catering service providers are particular with providing their details for flexible purposes of marketing among others. Meal Type – Distinguish the meal types that are up for service. A breakdown of meal costs could help customers deliberate on what particular types of meal they are going to avail of. 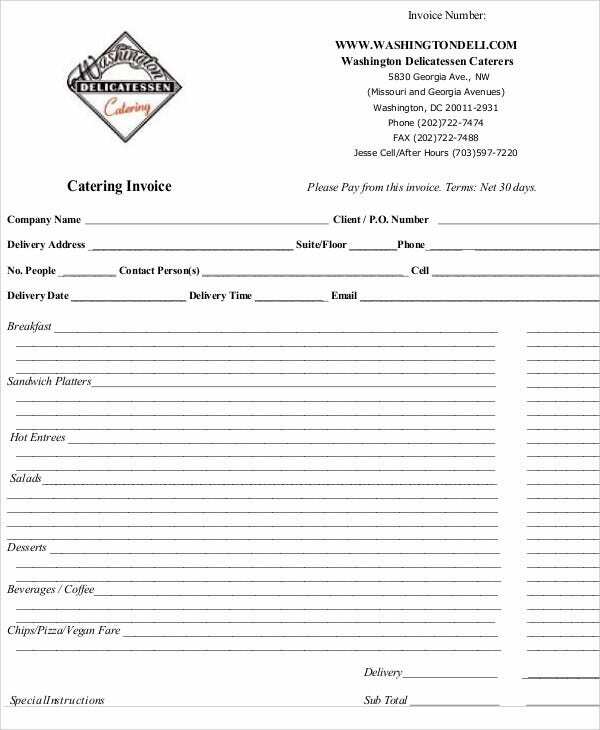 Most catering receipt templates focus on enumeration of meal types to cater not only to what they provide on their menu but also good service. 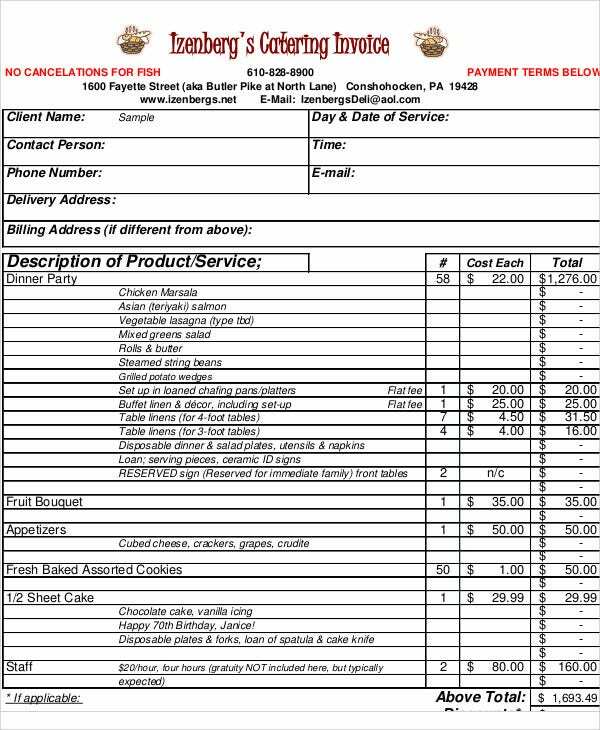 Delivery Information – A catering invoice of your own should include the delivery information set for a single catering service. Delivery information includes but does not limit to the particular time of the day and due compensation upon delivery. 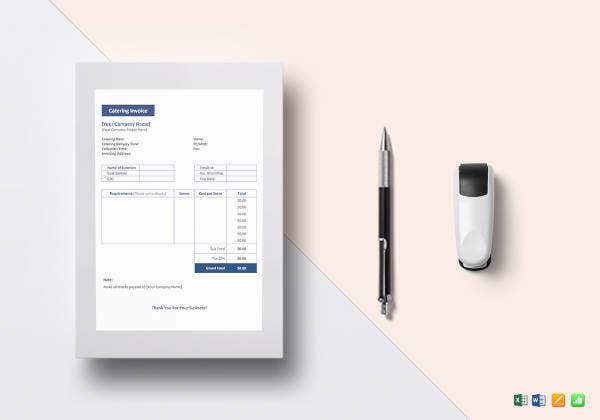 Special Instructions – Should there be special instructions that cater service providers or clients would want to add, a catering invoice could freely include a portion which briefly states special instructions towards improving services. Guest Count – Catering services highly price with a provided maximum or minimum guest count. This way, catering service providers would know how much food to prepare and what meal types could be ideal for guest preferences. Cost per Person – It would be of great help to distinguish kids from adults in the guest count and price one person at a time. Perhaps a different rate would apply for kids who has a lower capacity of consuming food than the adults. 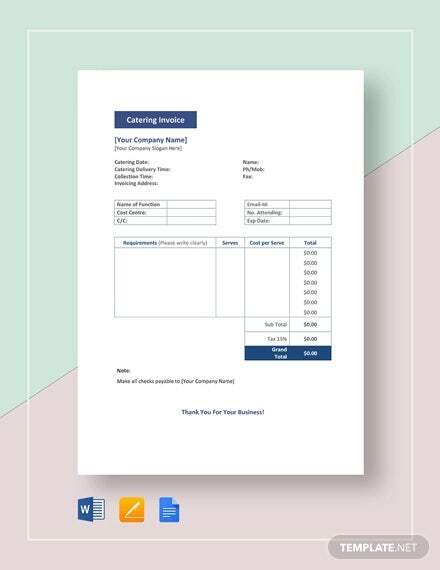 Free printable invoice templates for catering services mainly provide an organized invoice on the different cost due for kids and adults. 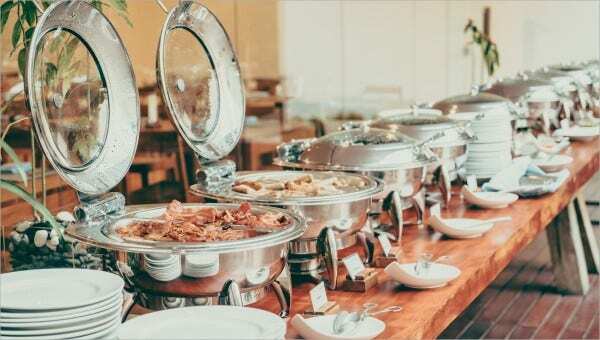 Catering Equipment – There are still other expenses to consider before finalizing a price for the food at the catering alone. Expenses from the use of catering equipment should add up to the cost of the entire catering service. 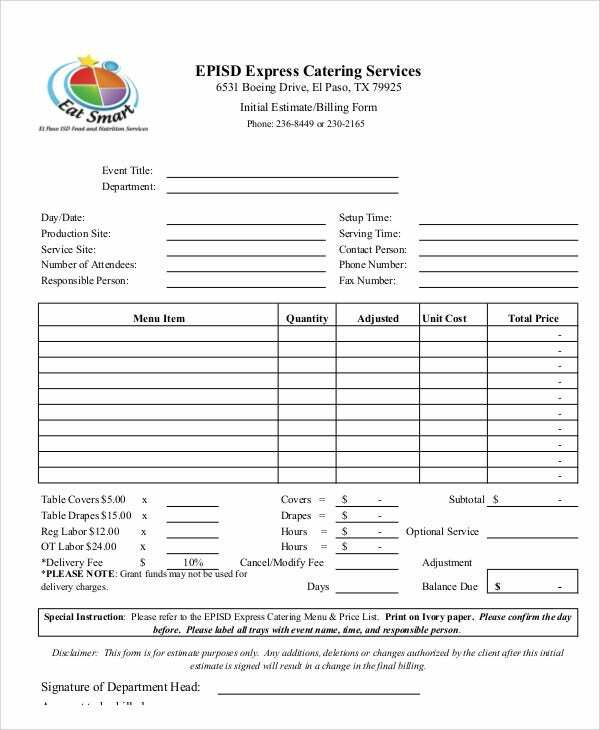 Now that you’e familiar with other factors to consider in pricing for catering services, you get to evaluate on how to construct and what to input in a catering service template.